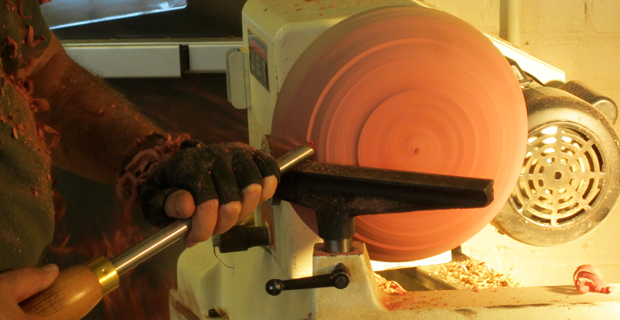 With NINE lathe stations, our members and students turn bowls, table legs, baseball bats, rolling pins, pens, etc. 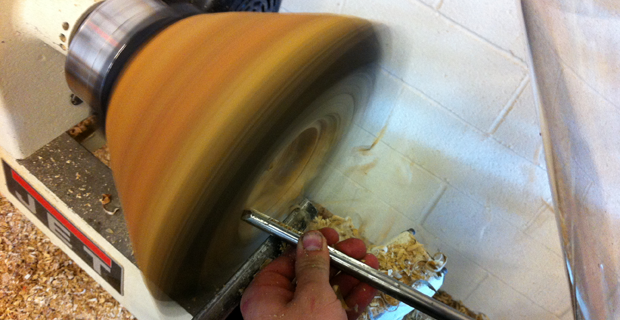 Come see just how quick and fun turning is!! 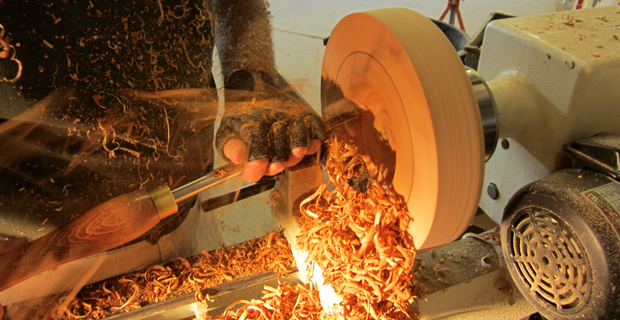 Roughing the outside of a natural edge "green" (fresh wet wood) bowl! 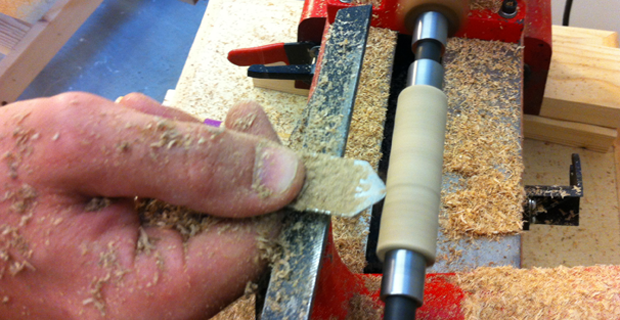 Hollowing of a natural edge "green" (fresh wet wood) bowl! 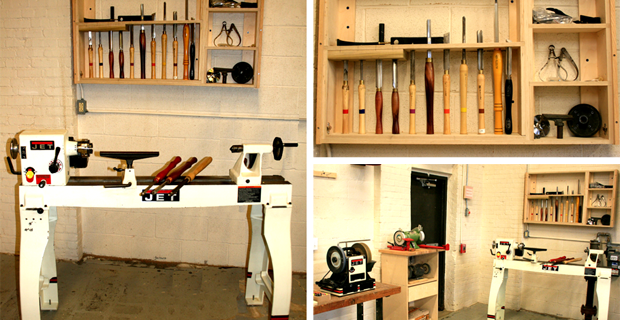 Our 1442 Jet Lathe Station - complete with turning chisels and sharpening! 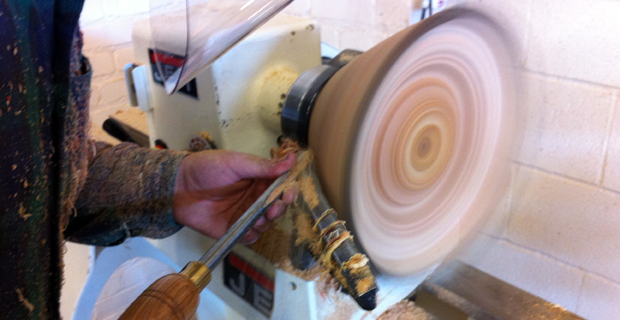 Turning an exotic wood pen! 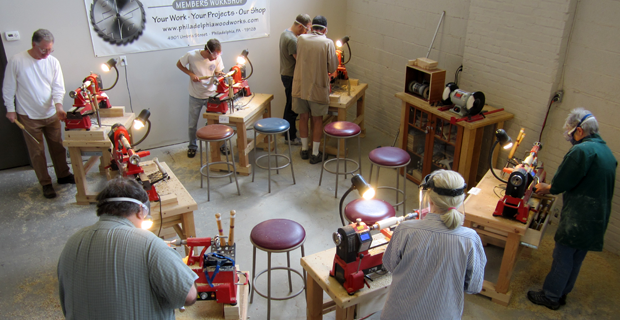 Our Comprehensive Intro to Turning Class in our 7-station turning studio! 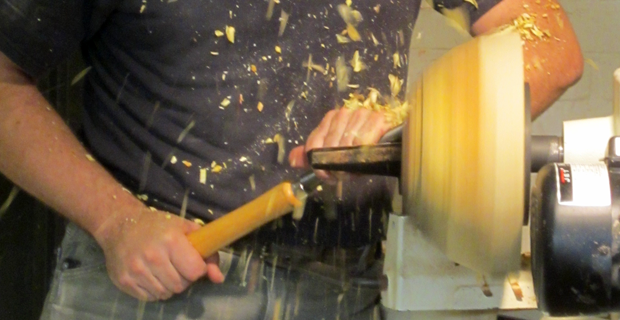 Hollowing a bowl in action! 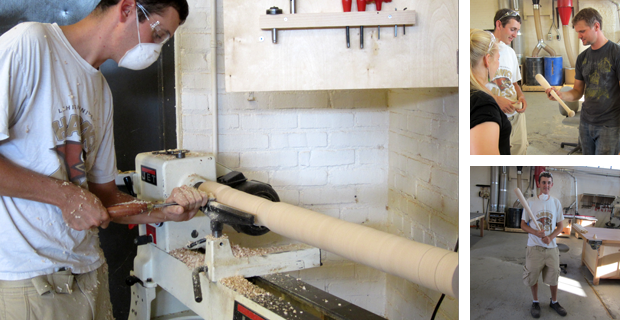 Turning his own "Wonder Boy" baseball bat! 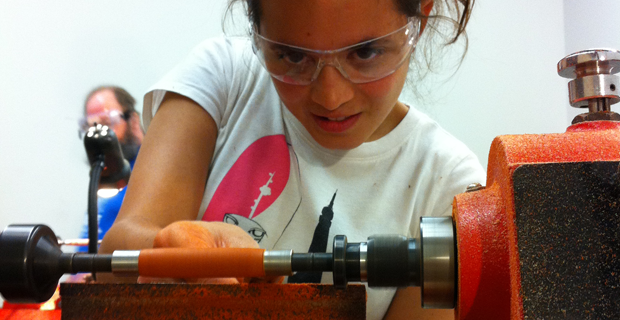 First time turning a pen and it came out perfectly!